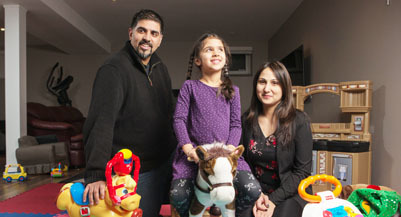 In our April 2016 issue of MoneySense, we introduced you to Sammu and Mandy Dhaliwall, a young married couple with three kids from Brampton, Ont. They are trying to juggle RRSPs, TFSAs, paying down their $350,000 mortgage as well as their $90,000 home equity line of credit. Throughout the year we gave them a financial challenge every four weeks to help them get their finances in tip top shape. Make sure to follow along! For their latest challenge, we asked them to read Moolala by Bruce Sellery and to write about three money lessons they learned from the book. Here’s what they had to say. Will shopping for mortgage rates hurt our credit score? 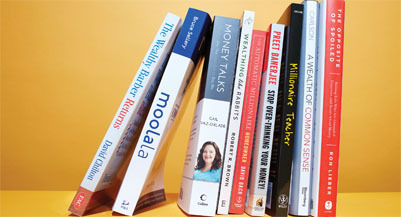 Both Mandy and I found Moolala by Bruce Sellery—along with its accompanying exercises—an interesting read on how to manage money more effectively. Both of us had already gone through similar money exercises before but these served as good refreshers. There are three key things we learned from reading the book and all were helpful. We did find that going over our cash flow in detail again was helpful to see how recent changes in our life (having twins, getting a mortgage, etc.) have impacted us. The last cash flow exercise we did was two years ago and redoing the exercise was an opportunity for us to identify some options to help increase our cash flow. The exercise to identify our weaknesses when dealing with money has helped us reflect on how we can improve with our money habits. For instance, both Mandy and I realize that we don’t follow through with some of our actions to meet our money goals—we too easily fall into our bad habits. One of our strategies going forward will be to simplify the goal and the action required to achieve it so we’ll follow through more successfully. For instance, instead of simply saying we’ll cut down on restaurant/takeout food expenses, it’s more helpful to set the goal as “we’ll stop ordering food in on Friday nights and make homemade pizza instead.” Such a change would cut our food expenses by $20 every Friday night (or $1,040 a year). That’s much more doable for us. Then we can allocate that money towards one of our top goals—such as paying off the mortgage. Or, use half of the savings for the mortgage and the other half to do some special activities with the kids. In both cases, it’s simplifying the goal—and being specific with the actions required—that allows us to free up money in our budget for other family priorities. Reassessing our approach to investing was also helpful. We have relied on a DIY approach for the majority of our investments. However, what we didn’t realize is that the past year or so we have become very passive with our investments due to time constraints with rapidly changing family responsibilities. We will definitely be considering having a financial adviser more involved in our investments in the future. Even though it may cost us a bit more, we’ve learned that the cost of doing nothing with our portfolio is more damaging to our investments that paying a little extra for the help we now need in our busy lives.